The pH of Kombucha tells us that the brew is protected, but it doesn't necessarily tell us how much of the sugar has been converted by the fermentation process. 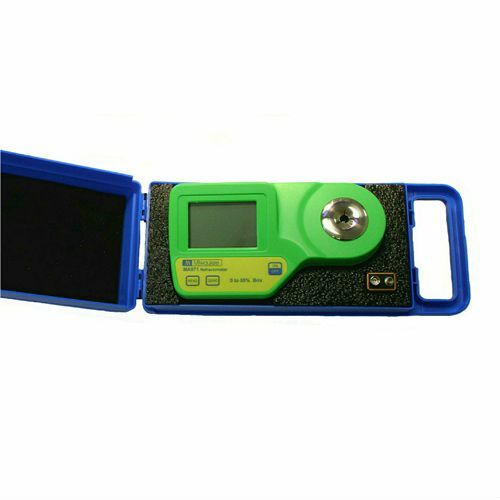 Using a refractometer, to measure the sugar of the sweet tea and again when you are ready to decant provides insight into how much sugar has been consumed. Coupled with a pH reading, you will be on your way to making a perfect batch every time! 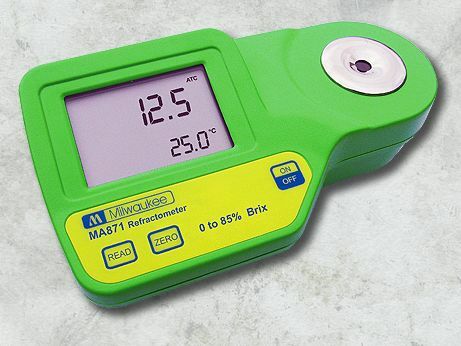 Digital refractometers are precision optical instruments used for measuring concentrations of substances in aqueous solutions. They work using the principle of light refraction through liquids. When passing light through a liquid, the test result will be calculated by the computer and shown in the digital display. Milwaukee refractometers are very simple to use: simply place one drop of your sample in the prism well, and read the results immediately! BONUS - This product includes a special information sheet from Kombucha Kamp about what formulas to use for calculating alcohol levels and sugar grams specific to Kombucha. © Kombucha Kamp 2007-2018 . . . . . . . "Changing the World One Gut at a Time ™"